Overpricing can really dampen the sale of a property and become a real problem for both the agent and the seller. But whose fault is it? Most homeowners want to maximize profit from the sale of their home and agents to maximize their commission. Sellers are monetarily and emotionally invested in their home. But it’s up to the agent to taper their enthusiasm and talk some sense to them on how the real estate market really works and to not look into the Jones’ or the Smith’s sale as their benchmark in selling their own. •	Putting too much value on home improvements and choices of home fixtures. Most sellers are proud of their home because they created it with their tastes in color and home fixtures. They overlook the fact that buyers might see their color scheme and home fixtures differently. Agents should advise their sellers to tone down a notch in their enthusiasm and look at the house at the perspective of a buyer. Most properties going on sale usually undergo the process of staging. Staging a house means clearing and removing the personality of the homeowner from the house to make it easier for buyers to envision their own style into the property such as painting some rooms white or other neutral colors, taking out decors and pictures. •	Too much emphasis on what the neighbor sold for. Looking into comps are as good for allowing sellers to see their property’s value compared to the prices of other houses within the vicinity. Comps help get the right price of the house. Unfortunately, sellers go a bit further by pointing out certain attributes of their home that they think should add value and to the price, but in a bigger picture don’t really make a difference to current market price. Agents should point out to sellers that these attributes may add value in selling their houses faster but not at an overvalued price. •	Looking at the real estate market like it’s a bazaar. Haggling is a time-honored tradition but should not be the benchmark in pricing a real estate property. Most sellers overprice because they anticipate the fact that buyers will haggle for the price to go down. Of course, sellers anticipating this would still want to maximize their ROI so they resort to overvaluation to make allowances. This thinking does not help in getting the property sold quickly at an optimum price that’s just within the market range. Agents should point out that much like a bazaar, the point is not to overprice to maximize profit but to sell quicker that optimizes price relative to the ROI and sales costs. Overpricing has no place in the real estate market as it hurts the sellers more in the long run than give them the break of selling their properties in the optimum price range the market allows. Sellers should be educated by their agents on the nuances and intricacies as well as mindsets of buyers to avoid the pitfalls of overvaluing properties. We offer a great service to aid in accomplishing this. Our pre-listing appraisals start at $150 and would cover most residential properties in Helena area. (Commercial appraisals available by quote.) We also have a service for measuring properties. 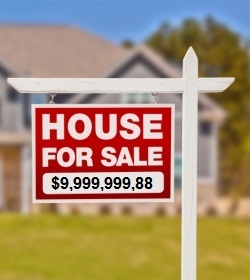 For more information on this visit http://www.mooreappraisalfirm.com/house-measuring/. Thank you once again for letting us be your residential and commercial real estate experts. Thank you for providing great information to us. I’t factual and very beneficial!